Does a render of the currently selected texmap from the material editor on the objects that it's applied to in the scene. Think of it as something similar to the "Show Map In Viewport" function, except it works with all procedurals (Show Map In Viewport does not always produce correct results) and does a full render instead of doing the openGL viewport preview. Creates a new texture plugin - RGB Add. it's the opposite of RGB multiply - adding the color values of two maps together. it works by using rgb_multiply with inverted input maps and inverting the output. 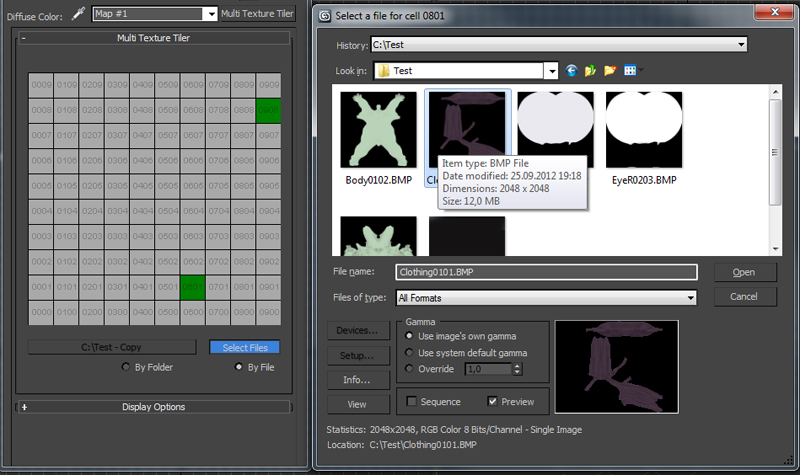 Replaces all Bitmap-Bumpchannels with a NormalBump.